Golf lessons and golf training in Croydon and Sydenham with Jon Bird, Head PGA professional, with over 30 years golf coaching in London. 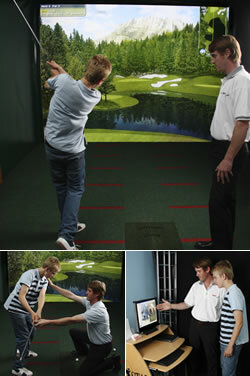 The Ultimate in Indoor Golf Tuition! Log in to our video analysis portal. To find out more about Cannon Golf please contact us via the website or call us on 0208 659 1708.